To get a better idea of how tiny this wonder of a camera is, check out photo #10. Antigua: boutique hotel Casa Concepcion *highly recommend! Travel Agency: Antigua Tours by Elizabeth Bell *highly recommend! We hiked a volcano (Volcan Pacaya), explored Maya ruins of Tikal, visited Lake Atitlan (which rivals Lake Como in beauty), and visited the markets in Chichicastenego. Not being big shoppers, we could have done without the market visit, but we're glad we got a chance to experience all of it. I didn't list the restaurants, but if anyone's interested in more details of any aspect or the trip, I would be more than happy to share. 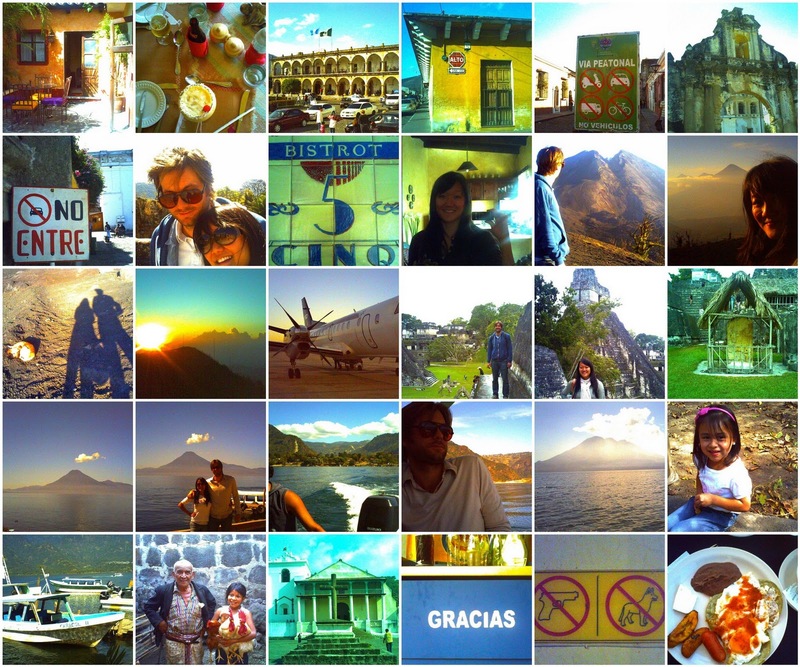 amy + jc go to guatemala from amy tan on Vimeo.